By Robert E. Boff, D.M.D. and Banafsheh Goujani, D.M.D. Today's dental restorations are truly amazing. Not only are they life-like and functional, they can endure for many years a hostile environment of bacteria, acid and heavy biting forces. Even so, you'll still need to take care of your restorations to help them last. Here's how to extend the life of 3 common forms of dental work. Fillings. We use fillings, both metal amalgam and tooth-colored materials, to repair holes or cavities in teeth caused by tooth decay. Although strong, dental fillings can break if you subject them to abnormally high biting force (like chewing ice). There's also a chance that if a slight separation occurs between the filling and tooth, bacteria can take up residence and reignite the decay process. To prevent this, practice a daily regimen of oral hygiene to clean away bacterial plaque—and reduce sugar in your diet, a prime food source for bacteria. Veneers. Usually made of thin porcelain, veneers are bonded to the front of teeth to mask chips, stains, gaps or other blemishes. But although they're strong, veneers aren't immune to damage. Habits like biting nails, the aforementioned ice chewing or unconsciously grinding your teeth could cause a chipped veneer. And if periodontal (gum) disease causes your gums to recede, the exposed part of the tooth may look noticeably darker than the veneer. To protect your veneers and their appearance, avoid habits like ice chewing, and seek treatment for teeth grinding and dental disease. Bridgework. Bridges are used to replace one or more missing teeth. Traditional bridges use the natural teeth on either side of the gap to support the bridge; for a single missing tooth, implants are a preferable option because they don't require permanently altering the neighboring teeth to support it. With either option, though, you should brush and floss around the restoration to reduce the risk of dental disease. Infections like gum disease or tooth decay could eventually weaken the bridge's supporting teeth or gum disease can damage an implant's gum and bone support. 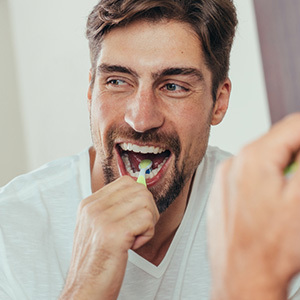 With any dental restoration, be sure to practice daily oral hygiene, eat a nutritious, low-sugar diet, and see your dentist regularly for cleanings and checkups. Taking care of your dental work will help it take care of you for a long time to come. If you would like more information on maintaining your dental restorations, please contact us or schedule an appointment for a consultation. What are you most looking forward to this summer? Maybe you’re planning a trip to the beach, or a getaway in the woods…maybe even a journey to a faraway city or a foreign land. Wherever your holiday travel leads you, we hope it’s enjoyable and safe. And while you’re packing your bags, don’t forget to take a trio of important items that can help keep your vacation trouble-free: namely, a soft-bristled toothbrush, a tube of fluoride toothpaste, and a roll of dental floss. 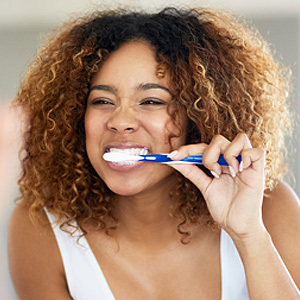 If you have been careful about keeping up your oral hygiene all year, you’ve probably already noticed the rewards it can bring—like a sparkling smile, fresh breath, and good dental checkups. But even if you’re planning to get away from it all this summer, don’t take a vacation from oral hygiene. And if your oral hygiene routine could stand some improvement, maybe this is the time to make a fresh start. 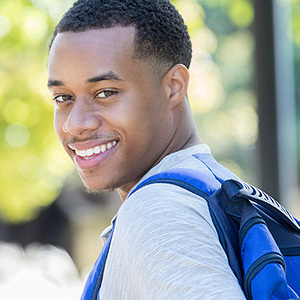 Maintaining good oral health while you’re on the go doesn’t have to be a high-tech pursuit. You don’t need broadband service or a good mobile signal; you don’t even need electric power. Running water is nice, but not essential. And all the tools you need can fit easily in a travel bag. 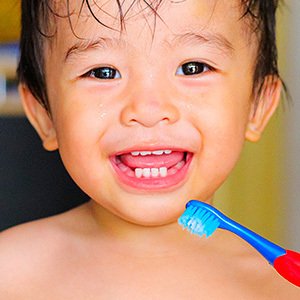 The benefits of good oral hygiene are clear. Brushing twice every day and flossing once a day can effectively fight the bacteria that cause tooth decay and periodontal disease. That’s important any time of year, but perhaps even more so when you’re traveling because it’s harder to keep a healthy diet. Grabbing a sugary drink or a snack to go is convenient, but it provides food for the bacteria that can cause dental diseases; also, the acid in some soft drinks (even diet sodas) can wear away tooth enamel, leaving you with less protection against cavities. Summer vacations can bring welcome surprises and unforgettable experiences. But needing urgent dental care in an unfamiliar place is the kind of surprise you can do without. So even though you may be far away from the routines of home, don’t take a vacation from your oral hygiene routine. It takes just a few minutes, but it can keep your smile bright and healthy wherever you go. 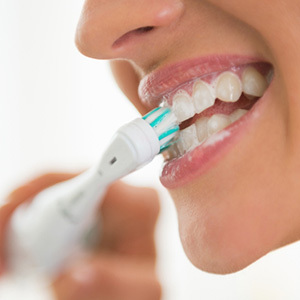 If you would like more information about oral hygiene, please contact us or schedule an appointment.